You have only a short amount of time to choose the right farm animals. 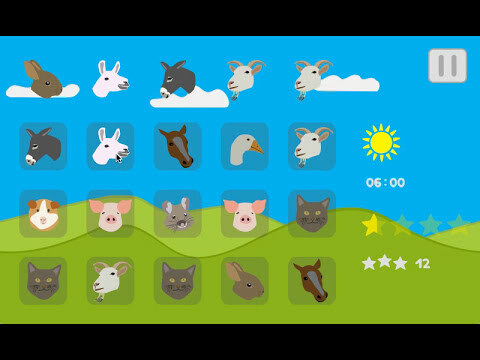 In the first row you see the farm animals to choose. Touch the farm animals below in the right order to succeed. To the right you see the time you have for every round.